Peter is showing off his big raw power – some of the best in the game. Through his first 50 at bats of the spring, he has four home runs and four doubles. Alonso hit for average and power at two different levels in 2018, hitting .285 with 36 home runs between Double-A Binghamton and Triple-A Las Vegas. The No. 48 overall prospect on Baseball America’s 2019 Top 100 Prospects list attended a Baseball Factory College PREP event and the Arizona Fall Classic as a freshman in 2010. 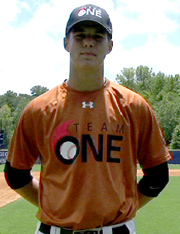 In 2011, he performed well at the Team One South Showcase. Healthy this spring, Greg is at full strength and it is showing in the way he is swinging the bat. He is currently hitting .343 with three doubles, two homers, seven runs driven in and he’s drawn 10 walks with an OPS of 1.089 this spring. Bird was a 2010 Under Armour All-American and is on track to make the opening day roster as the team heads north to the Bronx. Bo continues to turn heads this spring. He is hitting an impressive .417 in 18 games with three doubles and four home runs. Bichette has more than proved he belongs and the future is bright for the 21-year-old. He’ll begin the season at Triple-A Buffalo, but will be knocking on the door very soon. Bo was a 2015 UA Pre-Season All-American and performed well at that year’s All-America Game. Anthony has had an excellent spring so far for the new-look Reds. 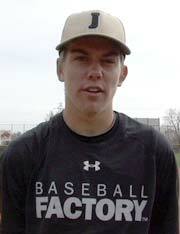 He’s now 1-0 with a 1.93 ERA and has 14 Ks in 14 innings pitched. In his most recent start, he allowed two hits and one run in five innings, striking out seven and walking none as he continues to make a case to be in the starting rotation for Cincinnati. The former Under Armour All-America homered in his first spring start, going deep off major league reliever, Kyle Barraclough. The Cardinals prospect is only 18 and looks to build on an excellent first year in professional baseball, one in which he hit .291 with 17 homers over two different levels in 2018. Hudson threw well again on Monday, going five strong innings, allowing no runs and only four hits while striking out eight in the outing. He’s now 2-0 with a 1.78 ERA. 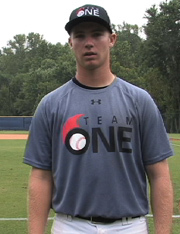 Hudson participated in the 2012 Baseball Factory Team One South Showcase. The next Nationals prospect who can really swing the bat, Carter had one of the loudest days of the spring. He hit two home runs in the same game last week – both off of Justin Verlander. This week, he notched a multi-hit game against the Mets and is now 11-for-35 with nine RBI and five walks this spring as he looks to break camp and head north to Washington. Kieboom, like Bichette, followed the same path in 2015, participating in the UA All-America Pre-Season Tournament and the All-America Game, where he was named a Silver Spikes award winner for the American team.